If you're anything like us (which, seeing as you've found yourself here, we assume you are), you'll already be giving your party attire some thought. Mid-October means we're on the festive peripheral, and considering more and more businesses are opting to host their Christmas bashes in November, that makes it A-OK to start discussing potential outfits, right? Right. Of course, there are always dresses to fall back on—whether they're black, sequinned, velvet or satin. 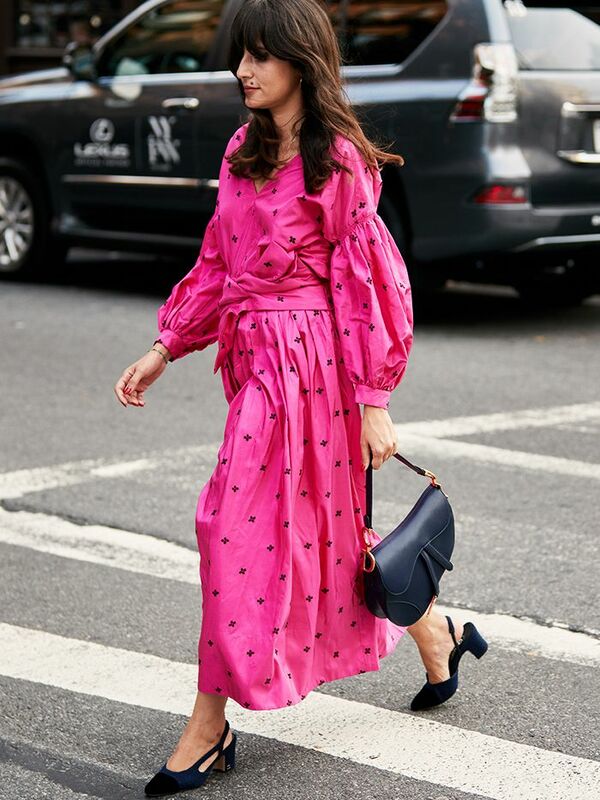 Frocks provide us with a fail-safe way of looking fancy with next to no effort. However, we're here to tell you they're not the only one-and-done option. If you're keen to try something a little different this party season, jumpsuits are where it's at. Requiring the same level of styling effort as a dress but with all the cool kudos usually associated with suiting, jumpsuits really are the fashion trailblazer's all-in-one of choice. Because who wouldn't want to look like a glittery rainbow? The wrap detail on this ochre jumpsuit is beyond chic. A classic jumpsuit from one of Meghan Markle's favourite designers. You need to see the beautiful bow back on this jumpsuit. Luxe in every way (but the price). Front slits aren't reserved for dresses. This will look the glamorous part with a faux-fur cover-up. This jumpsuit encompasses all that was good about '80s style. Wear with an updo and gold drop earrings to show off the twisted halter detail. Subtle and sleek, we love everything about this jumpsuit—especially the glow-inducing colour. Jumpsuits don't come more statement than this colour-blocked creation. Dress up this jumpsuit with velvet heels and a Perspex clutch. You had us at "pink satin." Yes to sequins and bell sleeves for ultimate '70s appeal. You can never go wrong with gold plissé pleats. Try clashing this geo-print style with leopard accessories. It doesn't get more Christmassy than a rose-gold bow. Rather not show off so much flesh? Layer a metallic or velvet roll-neck underneath. The gold flecks on this printed jumpsuit make it feel extra special. Lace will always have a place in our party-wear arsenal. Now that your clothes are taken care of, let's tackle party shoes.